"The script isn't the thing. 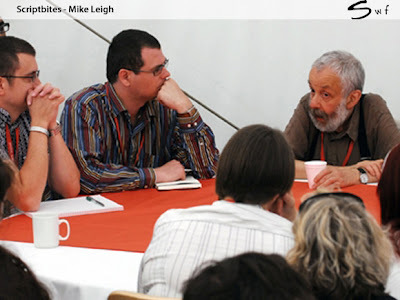 Just as the plans aren't the building"
Of course, Mike Leigh doesn't actually use scripts. Which is why he doesn't build skyscrapers. He does I believe Piers. However he writes them AFTER rehearsals. A funky order which I find intriguing. Fancy a quick writing challenge?